Bag of Riddim Bluetooth provides all of the portability and amazing sound as the original Bag of Riddim and adds the wireless convenience of Bluetooth streaming. 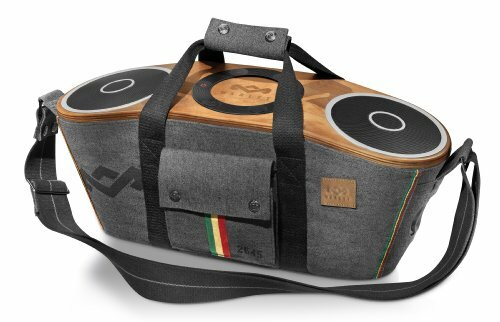 This amazing audio system also upgrades to a REWIND fabric carry bag made of organic cotton, hemp and RPET (recycled plastics). An integrated auxiliary input lets you connect hundreds of other phones and music players and a built-in USB port is included to charge them. Stream your favorite tunes wirelessly and fill your world with great tunes wherever you are. Newly included battery lets you use rechargable power on the go! If you have any questions about this product by House of Marley, contact us by completing and submitting the form below. If you are looking for a specif part number, please include it with your message.